North Valley I Apartments, located at 572 N. Pine St. in Omak, has one, two and three bedroom apartments. North Valley I Apartments participates in the Section 42 Low-Income Housing Tax Credit (LIHTC), Section 515 Rural Rental Housing and Section 521 USDA Rental Assistance programs. 24 one, two and three bedroom units. 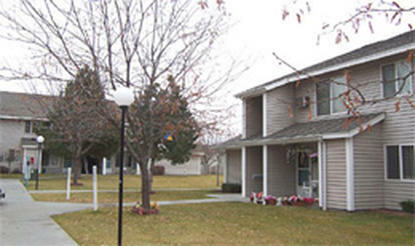 North Valley I Apartments is an affordable apartment community for individuals and families is located in historic Omak, Washington. We offer amenities such as air conditioning, a nice play area, park-like setting with lots of trees, plus much more. For more information, please call our site manager. North Valley I Apartments was built in part with financing obtained through the Low Income Housing Tax Credit (LIHTC) program and receives rental subsidies through HUD-Assisted Housing. These programs have different income limits that can lead to apartments in the same property having different income requirements. Since North Valley I Apartments has both programs, the most restrictive of the income limits will apply for each unit. If the entire property is funded by LIHTC, the LIHTC income limit of 60% AMI would be used for all units. Apartments in properties with some units not funded by the LIHTC, but receiving Section 8 assistance, would be open to households making up to 80% AMI. Market rate units would have no subsidies or income restrictions. North Valley I Apartments is managed by Ad-West Realty Services, Inc..